On the aircraft RWD-5 bis pilot captain. Stanisław Skarżyński defeated the Atlantic Ocean alone. The RWD-6 plane, piloted by Franciszek Żwirka and Stanisław Wigura, won in 1932 in the international Challenge International des Avions de Tourisme competition. In 1934, the pilot captain. Jerzy Bajan and senior Sgt. mechanic Gustaw Pokrzywka on RWD-9 repeated this success. 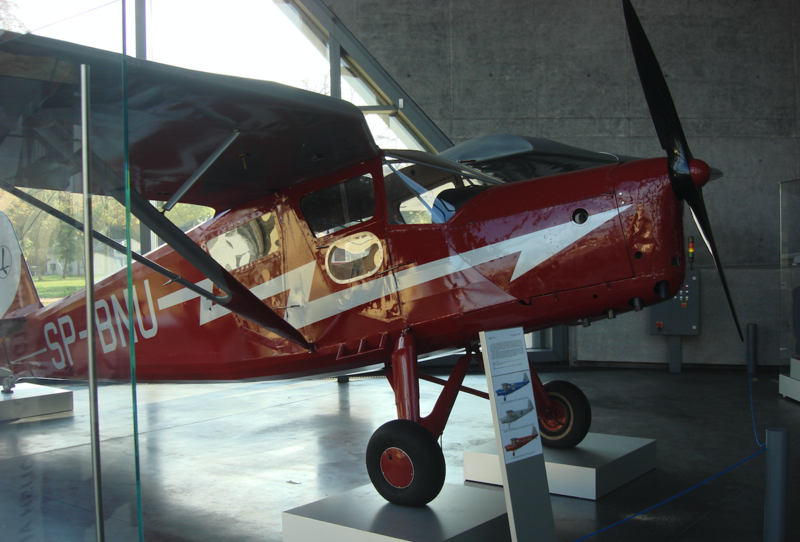 In autumn 1934, the Main Board of the Air Defense and Gas Defense League (LOPP) placed an order for a popular sports and tourist plane. The plane was designed for three people. The aircraft was to be a development of RWD-6 and RWD-9 aircraft. Initially, the new aircraft was to be marked RWD-6 bis. 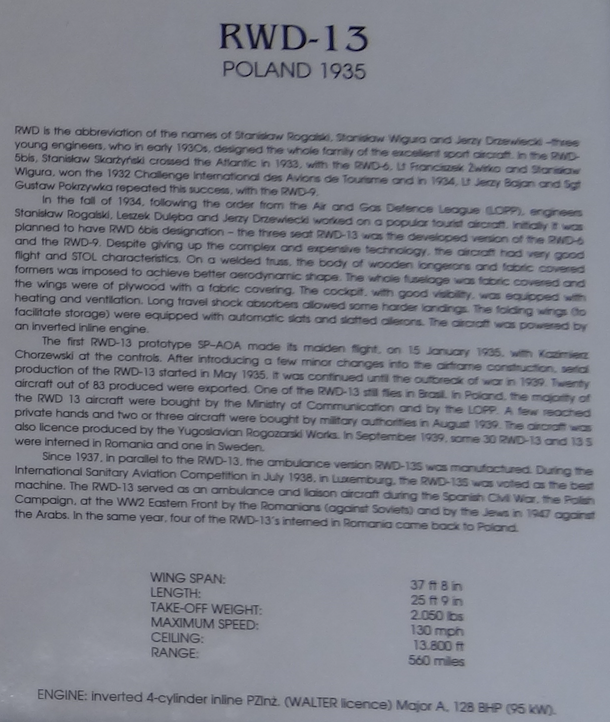 The constructors of the RWD-13 aircraft were engineers: Stanisław Rogalski, Leszek Dulęba and Jerzy Drzewiecki. Engineers gave up complicated and expensive construction solutions. The constructors tried to keep the short takeoff and landing distance while maintaining a good cruising speed. The cabin is equipped with heating and ventilation. Work on the plane was going very fast. 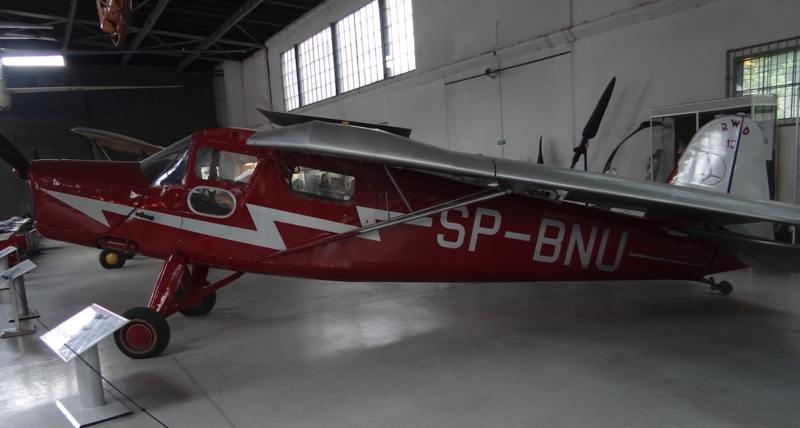 The prototype of the RWD-13 aircraft with the registration of SP-AOA, the first flight was carried out by Kazimierz Chorzewski on January 15, 1935. In the construction of the RWD-13 airframe, several small changes were made and in May 1935 serial production was initiated, which was interrupted by the outbreak of the Second World War. About 100 RWD-13 aircraft were built. About 20 aircraft were exported. The license production of RWD-13 planes was also undertaken by Yugoslavian Rogożarski. In 1937, the sanitary version, designated RWD-13 S, was developed by the engineer Bronisław Żurakowski. During the International Sanitation Competition in Luxembourg in July 1938, the RWD-13 S was considered the best machine. RWD-13 S was produced in series. The plane received one place for a stretcher, one place for the pilot on the left and one place for the doctor behind the pilot. For inserting the stretcher a special door in the left side was made. The first flight RWD-13 S was made on April 30, 1937. 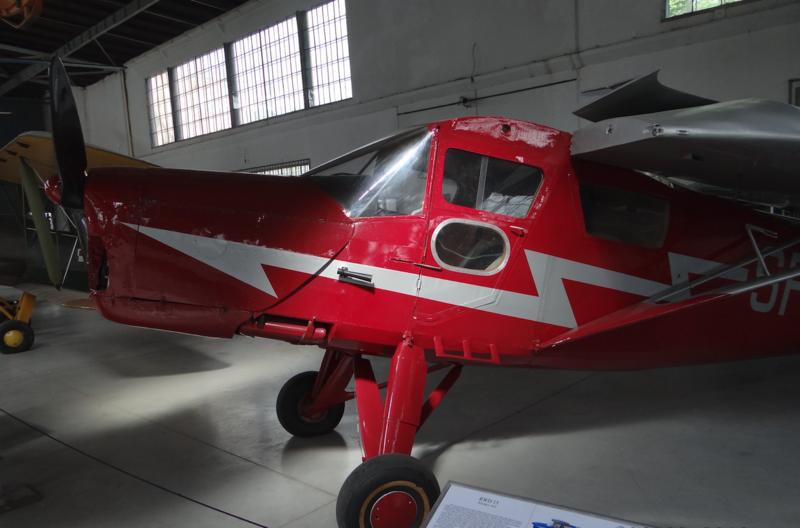 15 planes were built in version RWD-13 S and RWD-13 TS (tourist and sanitary). 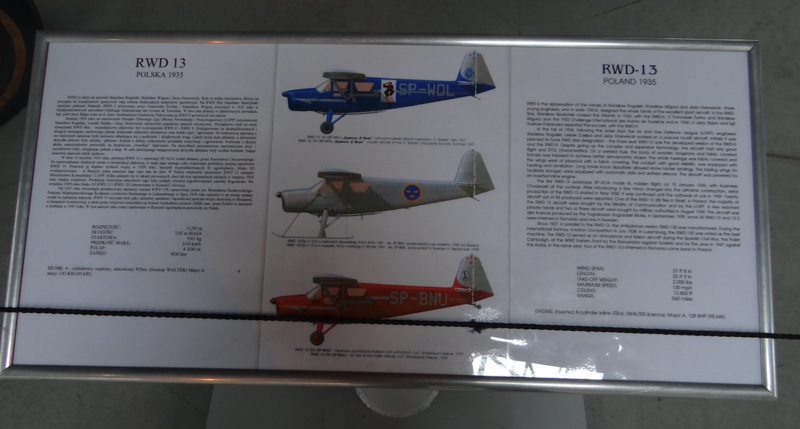 About 45 RWD-13 aircraft, after the outbreak of the Second World War, were interned in Romania and Sweden. RWD-13 turned out to be extremely durable and less emergency. In 1947, Romania returned to Poland four preserved planes RWD-13. 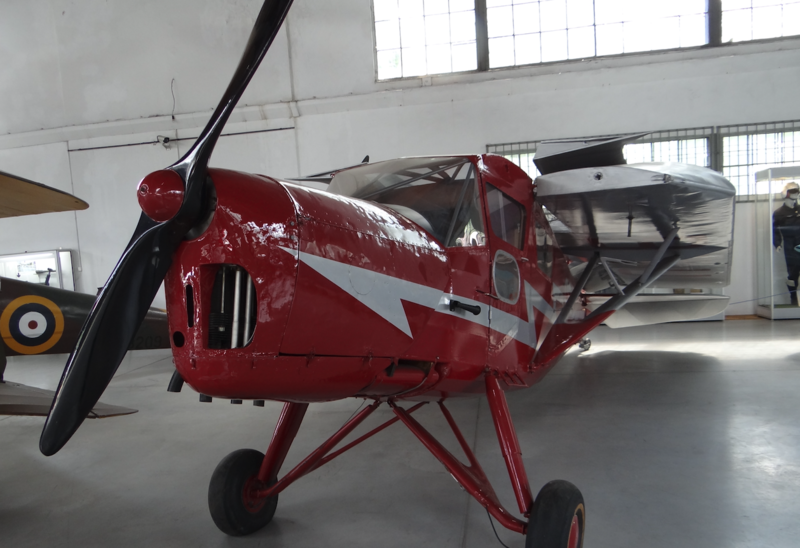 They were accepted into the state of the Polish Aero Club. In 1963, one of these planes was transferred to the museum in Czyżyny in Kraków. 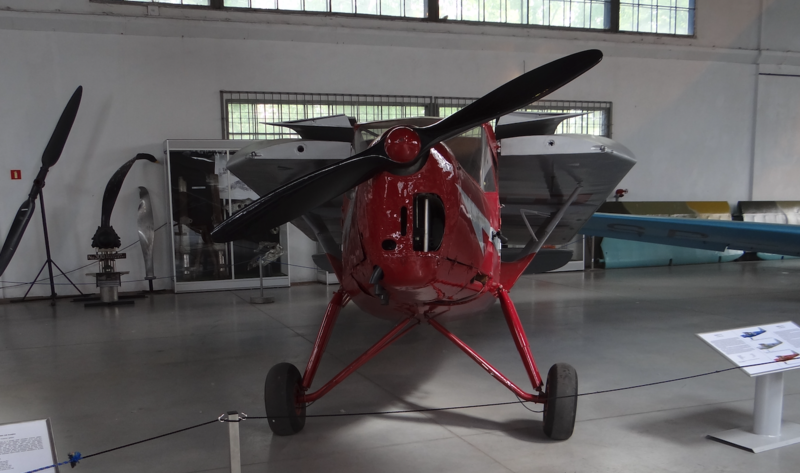 There is one more copy of the RWD-13 in the world at Museu Asas de um Sonho in Itu near São Paulo in Brazil.